Mango has opened 215 MNG by Mango points of sale within American department store JCPenney. This adds to the 77 shops launched last August, bringing the total number of MNG by Mango points of sale at JCPenney to 292, with locations available across 42 states. 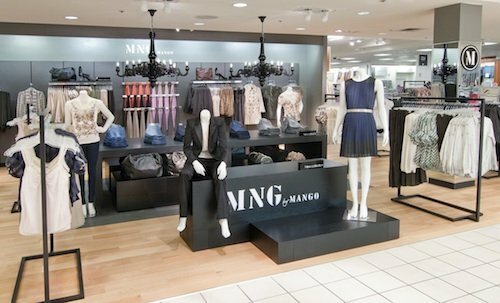 The MNG by Mango “shop-within-a-shop” -- with an average surface area of 100 m2 -- offers a collection created exclusively for JCPenney by the design team of Spanish brand Mango. Mango plans to continue the expansion MNG by Mango points of sale to additional JCPenney locations during the second half of August 2011. Mango is an international fashion brand aimed at women aged between 18 and 40. The brand currently has more than 1700 stores in 102 countries, to be found over five continents. Thanks to its rapid international expansion the company, Mango has reached its goal of having a store in each of the most important cities in the world. In 2010 it opened 400 points of sale and is planning to open at least one a day throughout 2011. As for JCPenney, the leading American retailer operates over 1,100 department stores throughout the United States and Puerto Rico. Mango closed the 2009 financial year with a turnover of 1,480 million Euros, a figure that corresponds to the retail sales excluding VAT, both from company-owned stores and franchises.